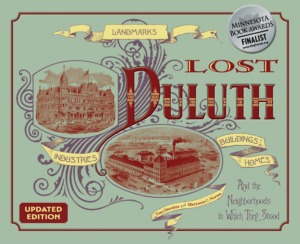 The Munger House had many characteristics of the Italianate-style, which was uncommon in Duluth: a low pitched roof with an overhanging eave, a cupola on the roof, and tall and narrow arched windows. Munger built a gazebo on the front lawn and a carriage house east of the house. 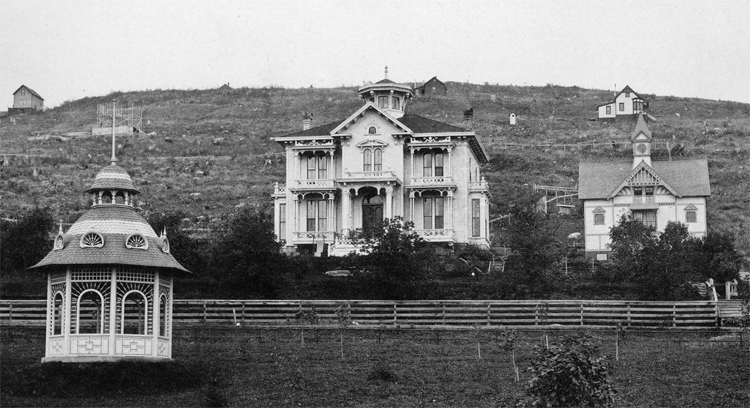 In 1889 Oliver Traphagen remodeled the house, removing the cupola and extending the second floor front pediment. A porte-cochere was added on the east side as was a third floor. In 1909 architects Starin and Melander “modernized” the house by removing its porches, balconies, porte-cochere, and gingerbread trim. Later converted to apartments, the house was razed in 1955, replaced by a parking lot for nearby Munger Terrace. Today’s widened Mesaba Avenue runs over the former gazebo location. The carriage house still stands but has been so severely remodeled that it is almost unrecognizable from its original form.